The end of any season is a nervous time for any driver, whether they are in contention to become the next world champion and are having to battle for every inch of asphalt, or on the verge of losing their seat and watch their dream come to a premature end. Concerning the latter this season sees a few drivers that could swipe out of the paddock for the last time, and not because they can’t tell the difference between tyre compounds. For a sport where budgets and resources are of paramount importance, money is such a dirty word, and pay driver the ultimate insult. 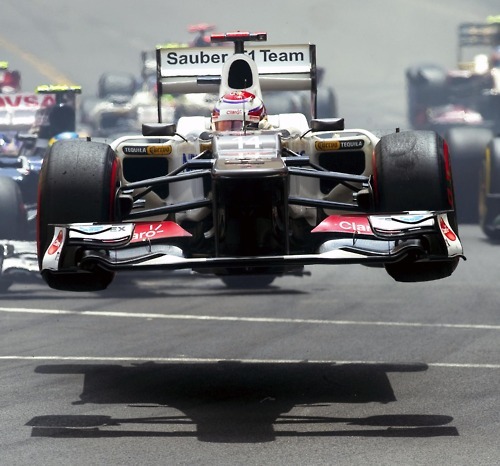 In a season that has offered the fan everything, from new winners to shock exits, from nerve shredding qualifying to seat of your pants racing, Formula One is looking healthy heading in 2013. But not everyone will be lining up and waiting for the lights to go out in Australia, some drivers might be separated from their seats earlier than anticipated. A huge favourite amongst the fans, the Japanese driver found his feet with Toyota in 2009 when he replaced Timo Glock for the final two races after making an appearance in practice at his home race, and to end on a high he scored points in Abu Dhabi. But with Toyota pulling out of Formula One he was left with an uncertain future, but was soon snapped up by the recovering Sauber team who had lost BMW’s backing at the end of 2009. Since then Kobayashi has remained at the Swiss team and has continually shown his skills as an exuberant overtaker. It was during the 2010 Japanese Grand Prix that he made his name, comically overtaking drivers in the same place over and over. But being popular with the fans will not secure a seat and for Kobayashi the economy is his enemy, after Sauber announced Hulkenberg and Gutierrez as their 2013 line up the Japanese driver wasted no time in making it clear money was the cause. Setting up a website solely focused on gathering funds to help his negotiations for a 2013 seat. The Finnish driver is the most experienced competitor without a guaranteed spot on the 2013 grid. 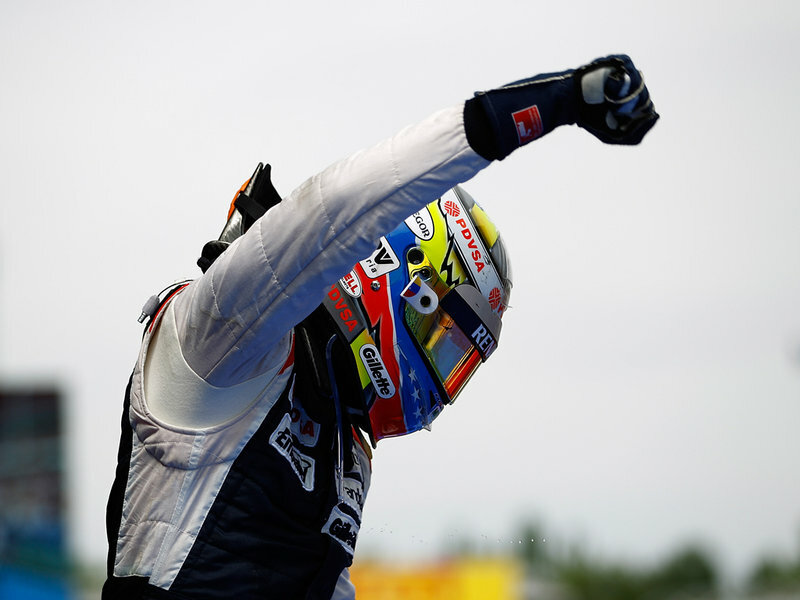 Starting his life with Renault in 2007 he reached the second step of the podium in Japan, then switching to McLaren took the full podium set with his single career win, yet to be matched, in Hungary in 2008, he stayed with the team for 2009. The transfer to the top flight team was considered a risk and too soon for the young driver and Hamilton proved a mighty team mate, he moved to Lotus Racing (then Team Lotus and Caterham, all the same team) and has been there ever since. Before the lights went out in Brazil Caterham were looking at a demotion to 11th place in the constructors’ championship and a significant loss of prize money, which would have sent the team looking for a driver who could bring a sizeable cheque with them. 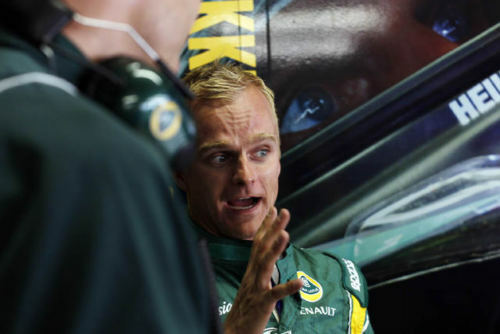 And with Kovalainen adamant that he was not going to go down that route, the team would need to finish the year as they started, in tenth, to give him a shot of staying. In Brazil his team mate brought himself home in 11th and subsequently his fortune has increased, but whether it is enough for Caterham remains to be seen. 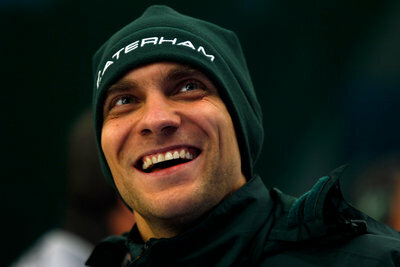 Helping to make Formula One a truly global sport Petrov become the first Russian driver to enter a race, making his debut in 2010 he came from a successful background in ice racing in his home nation anda second place in GP2 (2009). Like his 2012 team mate Kovalainen, Petrov began his career in Formula One with Renault and although he had a rocky start in his first year he remained for another year and took his first and only podium so far in Australia last year. Much like Kovalainen, Petrov’s woes are sponsor related but not in the same way, the Russian is open to the opportunities sponsorship brings, although he had little when he joined the sport. 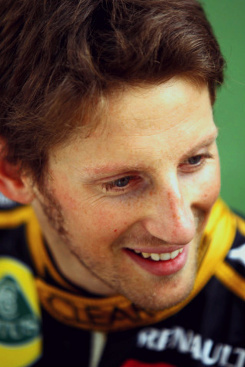 He lost the backing of his government in August but his manager then and now remains positive about finding a seat for 2013, and is believed to be talking to several teams, including Caterham. Back for he second bite of the Formula One cherry, the French driver is returning after a brief stint with Renault in 2009 when he replaced Nelson Piquet Jr after Crashgate. Seven races, no points and two retirements later he found himself outside the paddock again, but went on to find success elsewhere, in 2010 he won the Auto GP series with DAMS, then in 2011 he won the GP2 series with the same team. Despite finding himself in a few scrapes throughout the year, some his fault and others not, the brilliance of 7 previous championships in as many series have been seen this season. However where Raikkonen was re-signed under great fanfare in October(a very modern viral video), Grosjean is still waiting to hear back about his future. Why remains unclear from his camp, but it’s hard to ignore the number of incidents he’s been involved in, especially the at-the-start pile-up he caused in Belgium that warranted a race ban in Monza. T-boning Webber at Suzuka had the Australian call for another. Not taking the prescribed route into Formula One di Resta won his first DTM championship whilst playing the part of a test driver for Force India, taking part in eight Friday sessions. He joined the team properly in 2011 and scored on eight separate occasions, his best result came Singapore and then again in 2012 he bettered it to finish just outside the podium. 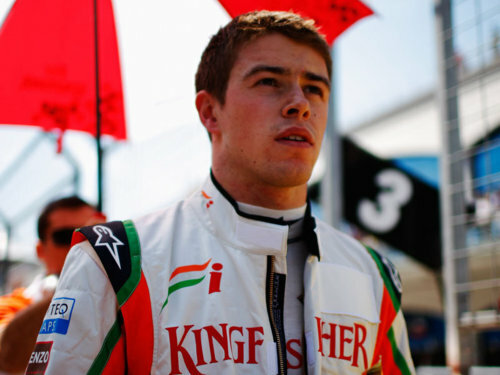 The most recent British driver to join the grid is yet to secure a seat for 2013 but Force India have made it clear that they wish to retain his services for another year least, so it is looking positive for him, but they are yet to confirm their line-up and are not in a rush to do so according to Mallya. Force India will also be enjoying a £50 million boost to invest in technology to aid design. In turn the seats available at Force India have become the most sought after with Sutil, Alguersuari and Kobayashi in the frame. Impressive testing performances for Honda almost saw the Brazilian secure a drive with the team, but pulling out of the sport due to the economic downturn saw his chance of making his debut in 2009 unlikely unless a buyer was found. It was, but Ross Brawn sought experience instead in his risky venture and turned to Senna’s countryman Barrichello. 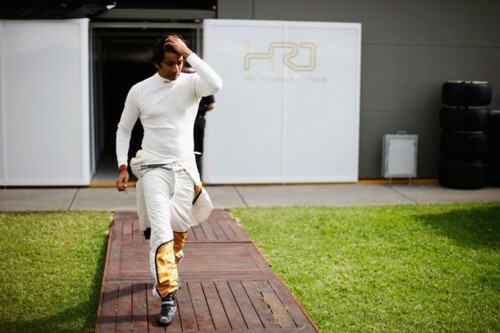 2010 was his year and he partnered Chandhok at Hispania Racing, but it was a testing year being a new driver in a new team, nine retirements and a one race replacement. In 2011 he was left without a drive but ended up replacing Heidfeld at Renault for the Belgian race onwards, then he was snapped up by Williams for 2012. Another graduate of GP2, the Venezuelan is only the third driver from his nation to compete in Formula One and the first to win a race. Debuting on the grid in 2011 he joined forces with two veterans for the grid, Williams and Barrichello, for what would turn out to be one of their worst seasons and left him with a poor reputation due to a number of incidents. Scoring a single point in 2011 he remained with the team for 2012. Looking to become the oldest driver on the grid next year the Spanish driver has had a punctuated Formula One career. Starting life as a test driver for Jordan in 1998 he spent two years at Arrows before switching to Jaguar for two seasons. 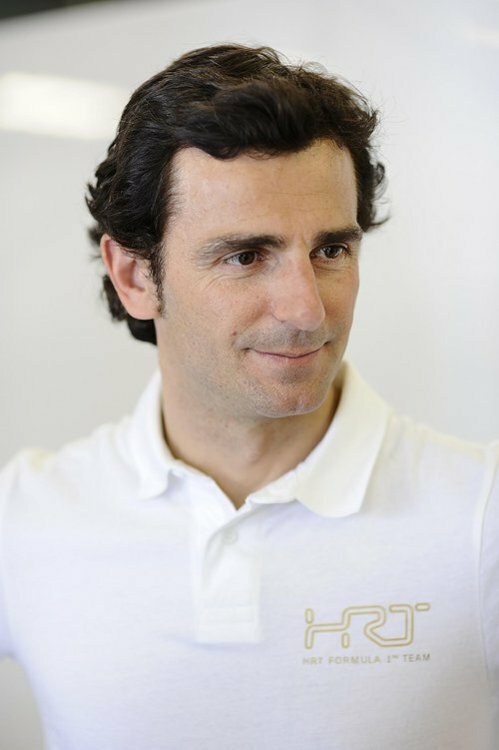 Without a seat for 2003 he joined McLaren and worked for them in a test driver role for three years, competing for a single race in Bahrain in 2005. Filling the seat vacated by Montoya he took in a further eight races for McLaren before racing for Sauber in 2010 until he was replace by Heidfeld from Singapore onwards. He returned to life as a McLaren test driver in 2011, but again filled in for an injured driver, Sauber’s Perez after his crash at Monaco. For his first full season since 2002, de la Rosa joined his home team HRT for 2012 but finished what could possibly be his last year in last place behind his team mate. But unlike any other driver on the grid, apart from his team mate Karthikeyan, his future isn’t tied to finding a sponsor, but whether or not his team can find a much needed buyer as he already has a contract with the team. HRT was put up for sale on 12th November and has yet to find anyone willing to write a cheque for £40 million. The first Indian Formula One driver to race and score points did so with Jordan at the controversial 2005 USA Grand Prix, where only the three Bridgestone teams competed after Michelin said they could guarantee the safety of their tyres provided. He returned to Formula One after a five year absence to race for Hispania Racing, where he got to race in front of his home crowd but also gained a record for the lowest ever finished in a Formula One race, 24th. 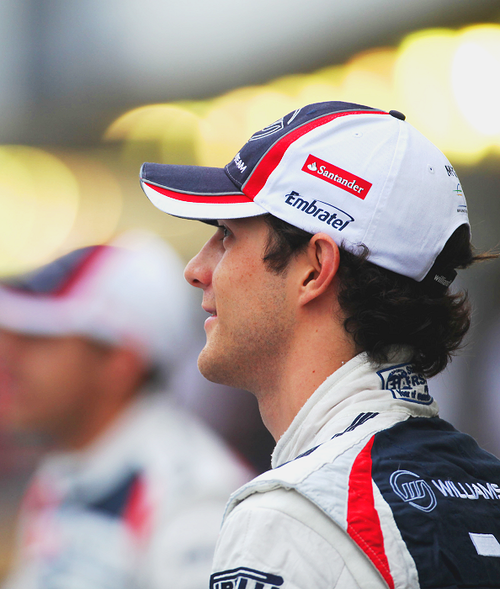 He may have raced in front of his home crowd in 2011, but he was replaced by Ricciardo from Silverstone onwards. He returned to the team in 2012, now HRT, and for the second year in a row they didn’t qualify to race in Australia due to a lack of pre-season testing and although they avoided the 107% rule since the team was faced with a late season issue with their brakes and general reliability. Most notably the hydraulic failure and the steering subsequently failure that Karthikeyan suffered in Abu Dhabi, where Rosberg was sent flying over the rear of the HRT and into the barriers. Like de la Rosa, his future lies within the success of HRT’s sale.